Six thousand construction workers will have to resit health and safety exams after widespread cheating was discovered in the system. The CITB has confirmed the retests as part of its ongoing campaign to crackdown on skills card cheats. Problems were highlighted during a BBC Newsnight investigation last month which showed candidates being offered test answers for inflated fees. The health, safety and environment test is a basic requirement for people looking to work on most sites. Tests are carried out at a string of 544 centres authorised by the CITB and a pass is needed to hold any kind of CSCS skills card. “We know card fraud is a serious problem for the UK construction industry and we are tackling this head-on. “We were actively investigating and had shut down five internet testing centres before the Newsnight programme was broadcast. Three of these centres were featured in the programme. “Whilst it is impossible to eliminate fraud completely, we are working hard with CSCS and the Police to crack down on fraud and we are accelerating existing plans to install mandatory CCTV in all testing centres. “We’ve also increased the number of spot checks on centres, to act as a deterrent. “We have reviewed all test results and evidence indicates that the vast majority of the tests are legitimate. “Following analysis of how the test was answered, using known testing patterns and geographical factors, we will require 6,000 individuals to be retested. “Many of these are expected to be legitimate, but this is to eliminate any doubt. “CITB is advising employers that they do not need to take any action, unless a CSCS card has been revoked. “CITB will issue vouchers to cover the cost of retesting. “Safety on site is paramount, but we cannot do it alone. We are calling on all employers to check the validity of CSCS cards by using the Smart technology contained within the card. “Our intelligence suggests that organised fraud is focused and accounts for very small proportion of the achievements issued legitimately every day. A CSCS statement said: “CSCS fully supports CITB’s decision to recall the HS&E Tests identified by their investigation. “Passing the CITB HS&E Test is a key requirement to obtaining a CSCS card. 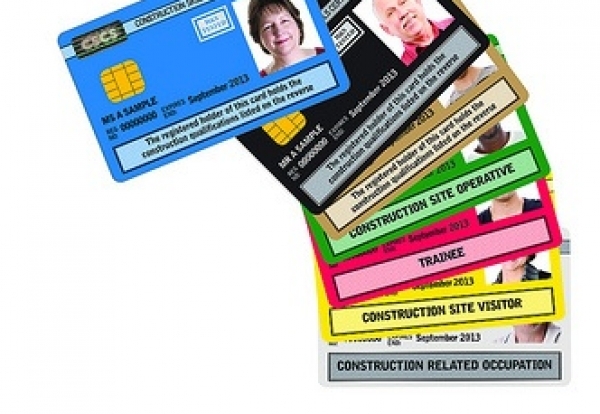 Following CITB’s announcement CSCS is writing to the affected 6,000 card holders to confirm their CSCS card is at risk of cancellation. “In order for the CSCS card to remain valid cardholders must register to retake the CITB HS&E test within one month and complete the test within three months. “Failure to complete either of these steps will result in the immediate and permanent cancellation of the CSCS card.